Human reason works in part by finding patterns in experience, developing models based on the particular patterns, and then projecting the consequences of possible actions based on the models. This worked well for our ancestors who learned to recognize the patterns in the tracks of different animals, and applying models of the behavior of prey animals and predators. If done correctly, this enabled them to eat the former and escape from the latter. Peace is in the common interest of everybody in this region. And as many [Arab League] ministers said to me today in the meeting that we had – many of them – they said that the core issue of instability in this region and in many other parts of the world is the Palestinian-Israeli conflict. As many analysts have pointed out over and over, most of the chaos in the Middle East has absolutely nothing to do with Israel and the Palestinians. The incredibly vicious civil war in Syria whose casualty count is close to 100,000; the political upheavals and economic collapse of Egypt, with accompanying violence against Christians and women; the conflict in Lebanon between Hizballah, which is intervening in Syria, and its opponents; the struggle of the Kurds for independence; the Sunni-Shiite conflict in Iraq; the frustration of the Westernized Turkish people with the heavy-handed Islamism of the AKP; and last but not least, the Iranian program to dominate the region (and incidentally destroy the Jewish state) by nuclear means — none of these are driven by Israeli-Palestinian issues. Mr. Kerry is returning from the Mideast after having his latest ‘peace’ proposal slapped down by the PLO, which apparently wants a guarantee that the borders of its new state will approximate the 1949 armistice lines, as well as a freeze on construction in settlements and a release of terrorist prisoners in Israeli jails as a precondition of negotiations. Kerry’s model is one in which the PLO’s agreement would result in two peaceful states living side by side. It assumes that a) the PLO and its factions actually desire such a peaceful outcome, and b) that Hamas and other radical groups would allow it. Both of these assumptions are false. They ignore the oft-repeated statements to the contrary by the PLO and others, as well as the continued anti-Jewish incitement and terrorism coming from them. These models place a double whammy on US policy. Not only is it not possible to attain peace by an additional partition of the Jewish national home, but even if it were, it would do little to quiet the more serious conflicts in the region. So let’s look at some of the real causes of instability. One is Sunni-Shiite enmity, which the US can do little to affect. Another is the internal conflicts between more and less extreme Muslims, for example the fighting in the Sinai between Salafists and the Egyptian Army. Again, the US has little leverage on this. But there is one place from which much of the chaos emanates. That place, of course, is Iran, which is engaged on a long-term project to become the regional hegemon of the area. In addition to developing nuclear weapons, it is arming and supporting the Assad regime in Syria and Hizballah in Lebanon, as well as radical Palestinian factions. It is sponsoring world-wide terrorism through its Hizballah franchise, which incidentally has a strong presence in South America that directly threatens the US homeland. Unfortunately the Iranian project has gone too far to be stopped by talking, unless diplomacy is backed up by a credible threat of military action. But in my opinion there is nothing that could do more to stabilize the Middle East and reduce the amount of terrorism in the world than action to stop the Iranian nuclear weapons program and to disarm Hizballah. The status quo between Israel and the Palestinian Arabs is, despite what you hear, not such a bad thing. There is no mass murder taking place as it is in Syria, nor endemic ethnic and political violence as in Egypt. Palestinian Arabs are economically better off than Arabs anywhere else in the Mideast — except for Arab citizens of Israel — and despite the lies spread by the European and left-wing media, are not victims of apartheid. The US should stop wasting effort on futile attempts to solve a problem which will not be solved until the Arabs — both the Palestinians and the Arab nations — decide that it is more important to develop their economies than to destroy Israel. This won’t be in the near future, unfortunately. Rather, it should take whatever steps are necessary against Iran and Hizballah. I’m sure Israel would be happy to cooperate. 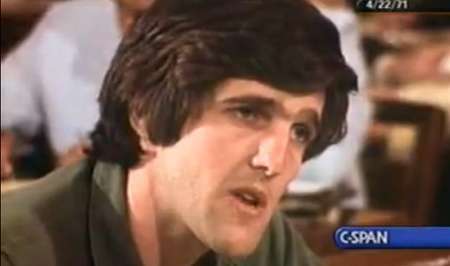 Update [1317 PDT]: Now it looks like Kerry’s negotiations will continue. Nothing changes. This entry was posted on Friday, July 19th, 2013 at 11:30 am and is filed under General. You can follow any responses to this entry through the RSS 2.0 feed. Both comments and pings are currently closed. Talks will take place but there will be no agreement. The reported Israeli concession – AKA the release of terrorists from Israeli prisons will do nothing to moderate the Arabs and they will not reciprocate Jewish goodwill with gestures of their own in exchange. They are not interested in peace with Israel. All the talks in the world will not change this reality in the slightest in the foreseeable future. It is hard for me to believe that Kerry truly believes the nonsense about the Israeli-Palestinian conflict being the core conflict behind the many conflicts of the Middle East. The placing however of all U.S. diplomatic focus on this is really a mode of escape. The U.S. has done nothing real to change the situation in the ground in Syria. It has failed in Iraq and Afghanistan. Egypt is a problem it does not know what to do with. Here Kerry has two sides he can in one way or another talk with, and in Israel’s case pressure. The incompetence of the whole enterprise makes me wonder how successful Israel can be , if it decides to attack Iran. For what I surmise is that this is behind Netanyahu’s willingness to release prisoners in order to get negotiations going. Perhaps this ‘linkage’ is really what is on his mind. But with such stupidity and incompetence behind U.S. foreign policy it seems unlikely to me that any attack on Iran will be wisely and strongly backed by the U.S. I do not believe that prisoners should be released, appeasement should be done here. It will yield nothing good for us but a temporary pat on the back from the U.S. before demands for more concessions. I’m still catching up with missed issues of FZ. The claim that that the I-P conflict is the core conflict behind many others in the ME and, more importantly, that it is the sole cause of the Islamic world’s beef with the West, is a common piece of propaganda used by Jew/Israel haters in the West, people who are mostly of the liberal-left. Here in the UK, a leading example is Baroness Jenny Tonge, promoted to the House of Lords after being ousted from the Lib-Dem party for expressing support for ‘Palestinian’ suicide bombing; more recent example is Lib-Dem MP David Ward.